Bakery software provides a complete business solution for users to run a bakery. These bakery systems can include labeling, nutritional analysis, ingredient purchasing, accounting, inventory and warehouse management, and production capabilities, among other features. Bakery software can be valuable for bakery owners, chefs, and food distributors. Bakery software may overlap in functionality with food service management, food service distribution, and food traceability software, as well as ERP systems specific to the industry. CakeBoss is your business's best friend. From order management, to invoicing, to scheduling, to costing out recipes and fairly pricing your goods, CakeBoss handles it all. A global ERP software solution designed specifically for the food manufacturing and other related industries. FlexiBake is currently in use in 25 countries and on 6 continents. It is a modular, multi-user system allowing for low cost entry and future expansion as business requirements change and budgets permit. FlexiBake makes it possible for small to mid-size food manufacturers to have a level of control that, until now, was only enjoyed by large organizations. Baker's Software automatically calculates the QUID, as well as the most optimum price, of all your bakery products by using your own recipes as the bases. 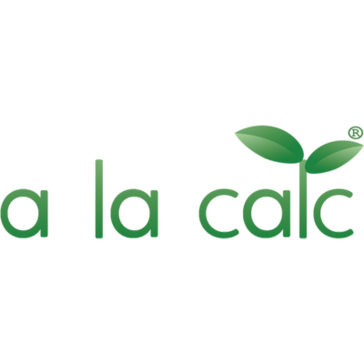 A la calc is a web-based recipe organiser for calculating nutritional values and GDAs. BakeSmart puts you in control of production. Preset your production schedule on a weekly basis, or just run batches as they're needed. Bake Wheel is a wholesale bakery software. Cost reduction, distribution quality, and utilization of space: Bakeries world-wide use dispotool to accelerate and simplify their product picking processes, and significantly reduce their costs. Dyne:CC is a complete billing solution for restaurants. GlobalBake Bakery Management system will help your bakery realize its fullest potential and leverage our unique baking tools to enhance profits, reduce waste, and gain better control. TwinPeaks Online has served the baking industry for over 30 years. We know how you work from product creation to distribution. We design every tool to improve your efficiency, productivity, and customer satisfaction. WSaler32 has been designed to receive orders placed on a website.This allow customers to place orders on the website, and all you have to do is to click a button in WSaler32 to download all the orders and import them into the database. Xperts Bakery can be used to Book your Orders, Raise Invoice for Counter and Door Delivery service, Customer Relationship Management, Employee Performances, Track your daily sales, Analyze your bakery items movement, and Define Recipe for the product. BACKCONTROL 2012 takes full control of all of your production needs, providing all the information needed during dough preparation. Bakery application software is designed for small and medium-sized bakeries, for order-processing, production summaries, delivery notes, invoices, statements, costing, stock control. Bakery Butler is a bakery order management solution. The basic aim of the project is to provide the search, delete, record and updating facilities which would be much more efficient and less time consuming. The software will allow the owners to maintain their entire record in one place which will be easy to manage. It will also reduce the risk of errors. This module deals with the control and reconciliation of all products which will eventually be sold. 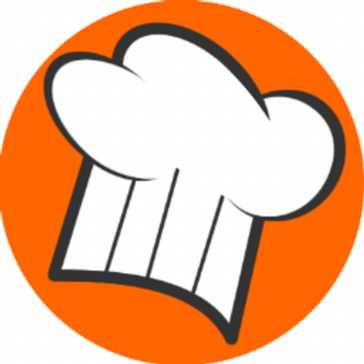 Baking It is a software platform designed to help run cake/baking business. design and cost cakes and bakes with an integrated quote and order management platform. Bakery and Productions System (BaPS) is a complete manufacturing, order and production management software, (ERP system), specifically designed for bakery, retail and wholesale food businesses. Web/Window Application.Store information of all products, Handling employee information,User friendly,Tracks Damaged/DateExpired/Returned Products,Feedback directly reaching the owner handling stock information of each branch No data interruption during internet failure. Cloud-based Cybake 4 is a comprehensive bakery management system proven to cut costs, streamline operations and boost profits. Whether you are a retailer or a wholesaler (or both), easy-to-use Cybake 4 handles your orders, invoices, recipes, production and deliveries and integrates with your accounts software. Perfect for bakers of all sizes, Cybake offers friendly and reliable support, smooth implementation and pain-free migration from out-of-date software. Sage/QuickBooks/Xero integration is smoother than ever and, with our modular approach, Cybake subscribers only pay for what they need. The result of twenty years’ work with bakers throughout the UK and Europe, the Cybake 4 bakery management system costs as little as £125 per month. FoodMan is designed to streamline deliveries and invoicing for bakeries. RJLasap is a Windows application that uses SQL Server technology for fast and robust data storage. Typical users of the RJLasap system include sandwich manufacturers, wholesale bakers, butchers and merchandising companies. SellMyCakes.com allows you to showcase and sell your cakes online and take payment via PayPal and card. Streamline Bakery Software generates production and distribution reports automatically which drivers receive GPS and delivery information on their phone. The Mixing Bench is a cost effective solution for the "Hometown Baker". 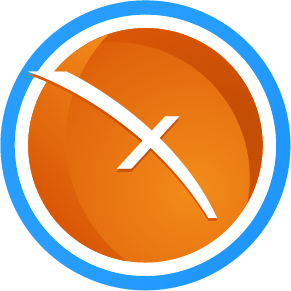 Manage formulas, products and costing without the extensive learning process required by other software. ZeusPOS is a point of sale for restaurants, bakery, coffee shops, ice cream shops and small retail stores. Designed with a powerful and easy to use interface allows the user quickly create orders and receive payments. ZeusPOS has a lot of features like print orders to the kitchen, split orders, discounts, unlimited groups and menu items, reports and more. Zua Bakery easily configures products, taxes, and keeps track of sales by user, by station, by date, and by time. Hi there! Can I help you find the best Bakery solutions?